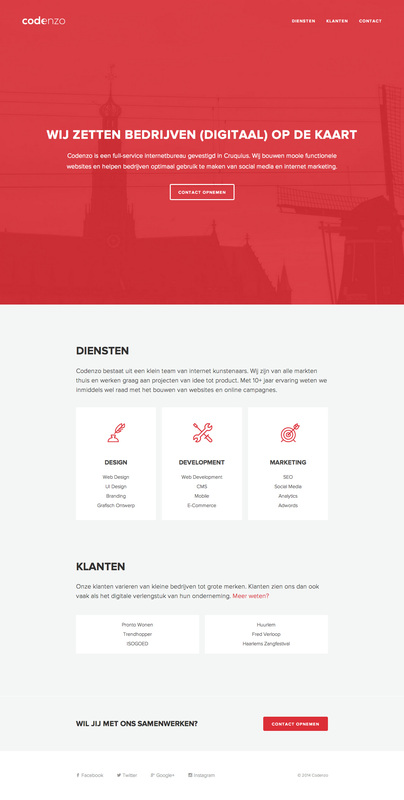 Responsive One Pager for Dutch design studio, Codenzo. It’s pretty basic but I can appreciate how clean it is and nice touch with loading the contact form full screen on mobile. We've kept the code very clean for optimal speed and readability. The responsive contact modal is a nice variation to the usual contact forms. It's very simpel, but we love it!